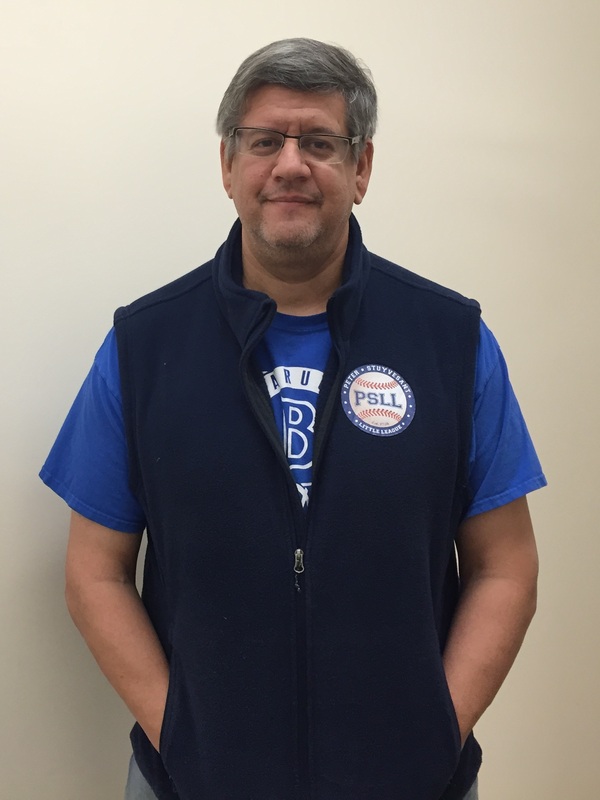 The 750 members of the Peter Stuyvesant Little League have a new leader after its president for the past five years, Peter Ramos, recently decided to end his run. The new president is Jeff Ourvan, a literary agent and nonpracticing attorney who has three sons, two of them who are current league members. Ourvan is also the author of a book called How to Coach Youth Baseball so Every Kid Wins, which was published by Skyhorse in 2012. This week, Ourvan stopped by T&V’s West 22nd Street office (his own office is just a couple of blocks away) and discussed his goals for the league as well as the significance of Little League to the kids who participate, playing baseball, softball or tee-ball. He added that his oldest son who’s now 15 and had played in Little League, still enjoys baseball and is even hoping to get into college with a sports scholarship. On getting kids to want to play or just keep playing as they get older, Ourvan said the trick is to get them out of their comfort zones just a little with each practice and game. He also said parents’ support is crucial. This means not just dropping their kids off at games and practice but also playing catch with them. Goal-wise, Ourvan said one of his priorities is to get more parents involved in coaching, which, as a 10-year-veteran of the volunteer practice, he is certainly an advocate of. Ourvan has been on the board of the PSLL for the past five years, and on his moving up to president, he admits it wasn’t a hotly contested battle. “Nobody wants the job,” he said. But he was also quick to note that the league is a relatively well-oiled machine with many parents eager to help out whether it’s by being in charge of concessions or handling the league’s insurance. There are also around 200 coaches. Another goal for this year is to keep older kids from leaving the league which tends to happen once players hit high school age. At that point, they’ll sometimes prefer to play on travel teams with their schools. However, Ourvan said he hopes they’ll stick around as coaches or umpires. The third of Ourvan’s goals for the league is to get it more competitive. Two seasons ago, the PSLL won a district title and he’s hoping for a state championship in 2015. He’s confident about player improvement since some of the league members will have an edge they didn’t have before, which is pre-season practice time at the newly tented Playground 11 in Stuyvesant Town. The spacious, heated tent, which has been branded by CWCapital as “The Courts at Stuy Town” opened recently and is currently housing a few winter sports programs. Before its opening, management had approached the league to see if its members would be interested in a baseball clinic there, and Ourvan said they agreed without hesitation. While there is a fee for participants to cover the cost of pro coaches and some new equipment, the PSLL is not being charged for the space by CW. The clinic began on December 5, with around 160 kids showing up, and it will run through March. That said, he made sure to add it’s not about winning titles or games, but seeing kids improve and develop confidence. He recalled how last year one of his son’s teams had been struggling all season only to end up coming close to winning a big game. The 2015 season of Little League begins in April and registration for the Peter Stuyvesant Little League opened on Wednesday. Registration currently costs $175 per player and $150 for additional siblings. After January 10, the cost goes up to $200 per player and $175 for siblings, and can be done online at psll.org.